CTU offers you choices in the type of education you receive – and how, when and where you pursue your degree. We are dedicated to providing excellence, innovation and flexibility in education and lifelong learning options, from the Associate to the Doctoral level. In a technology-driven world, it’s imperative that our students are exposed to advanced technology. At CTU we embrace new technology and use it in innovative ways to enhance your learning experience. We offer you the advantage of connectivity, interactivity, and freedom of choice. From multiple classroom delivery options and mobile access to your coursework to social networking, you can engage in a true university experience whether you study on campus, online or a combination of both. At CTU, we believe strongly in the importance of guidance and mentoring relationships that foster growth and motivate students to meet new challenges by helping them build their skills, knowledge and confidence. Our faculty, student advisors, career services professionals and support staff are focused on individual student satisfaction and success. 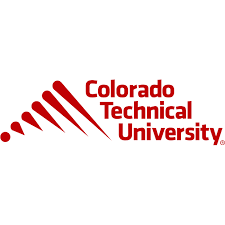 Colorado Technical University’s Associate of Science in Business Administration degree program is designed to help students prepare to pursue a career in any number of industries. By focusing on core business administration principals like critical thinking, communication and decision making, students in the ASBA program will have the opportunity to develop practical, real world knowledge that graduates may need to compete in a demanding job market. The curriculum is designed to provide a well-rounded overview of industry-relevant concepts related to business law, human resources, marketing and more. CTU’s business degree programs are accredited by the Accreditation Council for Business Schools and Programs. CTU's Bachelor of Science in Cyber Security degree with a concentration in Information Assurance is designed to help the students prepare and develop the knowledge and skills to apply the latest methods, techniques and tools necessary for securing the public and private sectors' critical assets and information. As our reliance on computers increases and technology grows more sophisticated, the need for cyber security professionals becomes critical to protect users and keep personal information out of the hands of hackers and safe from cyber threats. Courses focus on helping students prepare to work with both technical experts and management to secure the information which is considered essential to the business objectives of an enterprise. Obtaining the Security+ Certification can provide you with an industry recognized credential that demonstrates your competency in IT security issues. In addition, obtaining the Network+ Certification can provide you with an industry recognized credential that demonstrates your competency in managing, maintaining, troubleshooting, installing and configuring basic network infrastructure. This CTU degree program offers a curriculum designed in accordance with standards set by CompTIA, an industry recognized independent provider of IT certifications. Coursework is designed to help students prepare and develop knowledge and skills in order to sit for the Security+ and Network+ certification exams. CTU has been recognized by the Department of Homeland Security and the NSA as a National Center of Academic Excellence in Information Assurance and Cyber Defense (CAE IA/CD). CTU's Bachelor of Science in Cyber Security (BSCS) degree with a concentration in Computer Systems Security is designed to help students develop the knowledge and skills to examine and take measures against hacking, spam, worms, malware and computer viruses through cyber sleuthing and evidence gathering. Information systems play an important role in supporting commerce, banking, telecommunications, healthcare and national security. Coursework in this curriculum focuses on helping students prepare to work with both technical experts and management to secure the information which is considered essential to the business objectives of an enterprise. Colorado Technical University’s Bachelor of Science in Psychology with a concentration in Consumer Behavior online program explores consumer behavior as influenced by marketing, economics, anthropology and sociology. Along with a developing a strong foundation in psychology, you will have the opportunity to learn how to interpret information gathered through surveys and focus groups to determine what moves individuals and groups toward a particular action or buying decision. Those findings can be used by businesses and organizations to improve marketing strategies, shape public policies, educate the consumer and influence society.